The under-desk treadmill is one of the greatest tools ever conceived for fighting sitting disease. The best way to avoid a sedentary work life is to give ourselves viable alternatives to sitting that allow us to be productive at the same time. Yes, moving for even just a minute or two every half hour by getting up to make a cup of coffee or pacing while taking a phone call is a good start. However, this is not enough to prevent the long term effects of sitting disease. What your body truly needs to improve your health is an active workstation. The first step in converting to an active workstation is implementing an adjustable-height standing desk. With the proper posture and ergonomic accessories such as a keyboard tray, a monitor arm, and a quality standing mat, you can work comfortably and fight sitting disease at the same time. Standing for intervals throughout the day will alleviate back and neck pain, prevent repetitive strain injuries, and curb the negative effects associated with a sedentary lifestyle such as a slower metabolism, weight gain, and higher blood pressure, cholesterol and triglycerides. The next step is to adopt a treadmill desk. 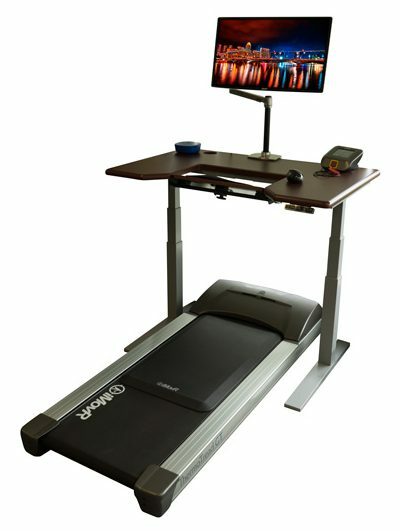 Adding a walking treadmill to your workstation gives you the option to walk at a leisurely pace while working, which has more benefits than using a standing desk alone. Walking improves productivity, boosts energy levels, increases the body’s non-exercise activity thermogenesis, and mitigates the problems of standing too much. These include knee and hip injuries, varicose veins, blood pooling in the legs, and deep-vein thrombosis. 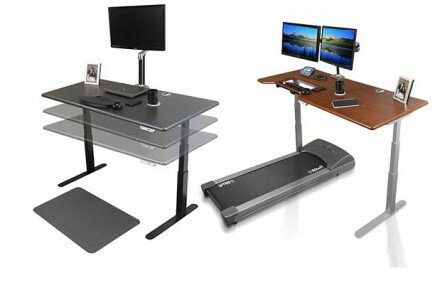 When using a treadmill desk, make sure you equip it with the same ergonomic accessories as a standing desk, plus a properly sized standing mat and possibly a chair to use atop the treadmill deck as well, to ensure you’re getting the full benefits of this versatile setup. As The Huffington Post’s video points out, it’s possible that you’re living a sedentary life and don’t even know it. With our busy lives, we often don’t feel we have the time to exercise, and many people feel trapped in their chairs at their home or office. Simple substitutions like getting up to talk to a coworker instead of shooting them an email can help. That being said, avoiding the many risks of sitting disease is much easier with a standing desk or treadmill desk. Because it is important not to stay in any one working mode for too long, treadmill desks are the ultimate workplace solution for fighting sitting disease. They facilitate a sit-stand-walk workstation that introduces a healthy level of movement while allowing workers to change positions throughout the day. As we like to say, your best position is your next one.